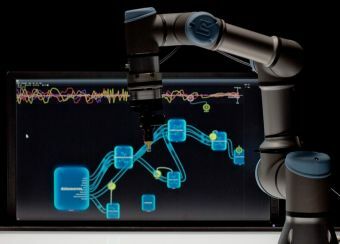 Micropsi Industries, a robotics software company, has announced trends that it believes will affect manufacturing and industrial robots this year. "Smart industrial robots aren't science fiction anymore," said Ronnie Vuine, founder and CEO, Micropsi Industries. "Equipped with more and more sensors and ever-easier to program, robots can now take on repetitive or dangerous tasks that were too hard to automate, even just two years ago. We expect this to be one of the key trends in the coming years, in almost any possible macroeconomic scenario, and continue to disrupt the future of manufacturing." 1. Adoption of artificial intelligence in factories and manufacturing will accelerate. The industry has invested in sensor and data technology over the past years, and now it is time to apply advanced analytics and AI to factories. Another development is the application of AI for self-driving cars and other autonomous devices. AI will be applied to drones, boats or other ground-moving vehicles -- in agriculture, mining, exploration, or places where autonomous vehicles can add value. 2. New companies will enter the robotics market resulting in more robots, cheaper machines and larger variety. 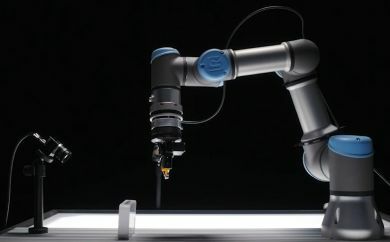 The number of companies developing and marketing robots will increase significantly in 2019, especially in Germany, China and the U.S. In 2019, industrial manufacturers will have a wide choice of machines -- some will be task-specific and others will be generalist robots. Key factors will continue to be reliability, safety, speed, precision and ease of use. As with the early personal computer market, robots will be used for applications the manufacturers did not imagine. There will not be a common API for robots as was the case for early PCs, at least not in 2019 or 2020. However, robots today are seen as a programmable platform, and the key to new applications is the growing third-party robotic software market that is comparable to the PC sector 20-30 years ago. 5. Vertical robots will be on the rise. Evidence of robots building houses and designing rocket parts to robot chefs that are cooking dinner and making pizzas are on the rise. In 2019, we will be entering the age of automated kitchens and unmanned robots, all designed to improve efficiency and real-time customer experience -- changing the future of industrial automation.